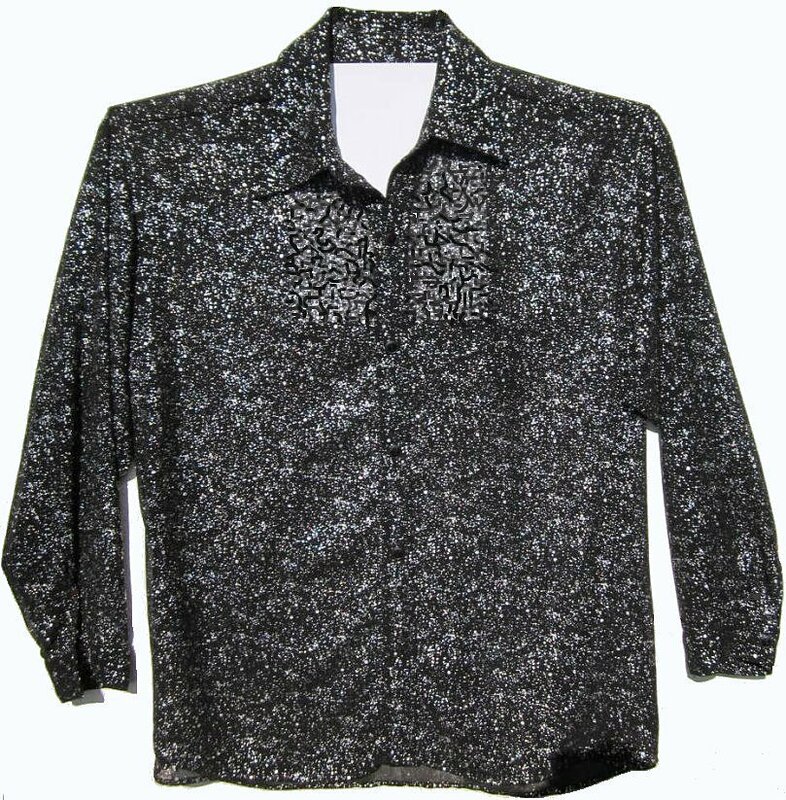 This unique shirt is very lightweight, semi sheer. The black background is covered with a shimmery silver paint like substance. I would class the lightweight fabric as semi sheer, very breathable. The chest is a 44 - 46 fit or an XL. Shirts measure a few inches more than stated chest size. After wearing, hand wash only. No dry cleaning. Various sunglasses available below too.